Two solutions offer hot and cold water integrated metering systems to measure individual tenant usage and wirelessly transmit the meter serial number and exact meter register to 1 litre resolution. MeterConnex™ enables accurate billing, leak detection and meter status. 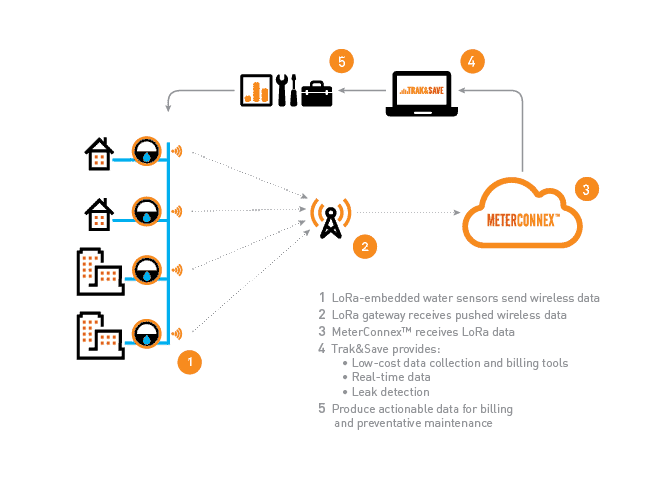 Why LoRa (Long Range Wide Area Network)?